This article was last updated Oct 10, 2017, but some terms and conditions may have changed or are no longer available. For the most accurate and up to date information please consult the terms and conditions found on the issuer website. If you regularly fly United, the United MileagePlus® Club Card* from Chase could unlock a world of travel benefits. For a $450 annual fee, you receive United Club membership, up to a $550 value per year, 1.5 miles per dollar of everyday spending, 2 miles per dollar for spending with United, as well as two free checked bags, a savings of $240 per roundtrip. New accounts get 50,000 bonus miles after you spend $3,000 in the first 3 months your account is open. The 50,000 miles offer with the United MileagePlus® Club Card is an improvement from both the old sign-up bonus and the United℠ Explorer Card*. Combined with United Club membership and Premier Access at the airport, the value adds up quickly for United regulars. On the downside, the bonus is not the biggest we have recently seen. In the past, both the Chase Sapphire Reserve® and the Citi® / AAdvantage® Executive World Elite™ Mastercard® offered 100,000 points for new accounts, but they may not return in the future. Currently, the Citi® / AAdvantage® Executive World Elite™ Mastercard® lets you Earn 50,000 American Airlines AAdvantage® bonus miles after spending $5,000 in purchases within the first 3 months of account opening*. If you’re a Premier level flier with United, you might be targeted for a deal that waives the $450 annual fee the first year, but that offer doesn’t include bonus miles to start. Before applying, log in to your MileagePlus account to see the best offer available to you. If you plan on flying United or their Star Alliance partners exclusively and have recently received a bonus from either the Chase Sapphire Reserve® or Chase Sapphire Reserve®, the 50,000 MileagePlus miles can help you get closer to your next trip. By converting Ultimate Rewards points to United MileagePlus® miles, first class or business class awards may be well within reach. However, this deal is not available to everyone. If you closed a United MileagePlus® Club Card within the last two years, or were approved for five credit cards in the last 24 months, you may not qualify for this deal. How much do United awards cost? United is one of two U.S. airlines that offers a set award chart. MileagePlus offers two levels of award tickets: Saver awards and Standard awards. Saver tickets come at the biggest discount, and are only available on certain routes. If you book early or are flexible in your plans, MileagePlus Saver awards are easier to find, making your miles even more valuable. Check out the United Saver award chard below – all prices are for one-way awards, so multiply by two to get the round trip mileage price per ticket. United Business Class International Flights – unless you are flying United Polaris, paying more to fly on a Star Alliance partner may be a better use of miles. Peak travel times to premier destinations, including domestic travel on holiday weekends or to popular seasonal destinations. What can you do with United miles? You can use MileagePlus miles for business class travel to Europe aboard many high-end carriers, including Lufthansa, SAS, and Turkish Airways. Considered one of the best first class experiences in the world, Singapore Airlines’ Suites are accessible with MileagePlus miles. Comparatively, two people can fly in United Polaris business class to Hong Kong for 10,000 more miles. Priced at 12,500 miles one way, the bonus from this card alone can get you two trips with United across North America, including Alaska and Canada. As the name suggests, the card comes with United Club membership, giving access to United lounges regardless of what airline you are flying, and participating Star Alliance carrier lounges when flying with them. Membership allows unlimited visits to United Club lounges for you and certain travel companions, including a friend, spouse, children, or business partners. This card also offers more points when you spend. The United MileagePlus® Club Card earns 1.5 miles for every dollar spent, and two miles when using the card for United purchases. 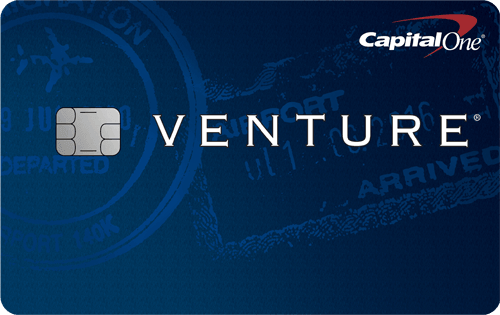 There are no international transaction fees for using this card abroad. Additionally, holding the card can give you status at the airport and on the ground. When flying United, cardholders get Premier Access at the airport, including priority check-in, dedicated security lanes at select airports, priority luggage handling, and early boarding. You also receive Discoverist status in the World of Hyatt program and President’s Circle elite status with Hertz. Can you get this offer if you had the card before? Maybe: If you do you not currently have the United MileagePlus® Club Card, or canceled your United MileagePlus® Club Card more than two years ago, then you may qualify for this bonus. Is there a business version of this card? Yes: there is a business version of this card, the United MileagePlus® Club Business* card, which offers the same benefits as the personal version. 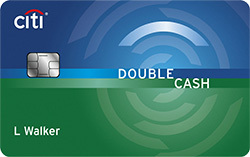 However, instead of offering a points sign-up bonus, this card offers a one-time $100 statement credit after the first purchase. Can you combine the miles with Chase Ultimate Rewards® points? Not exactly: while United MileagePlus miles cannot be converted into Ultimate Rewards, MileagePlus is a transfer partner for points earned on Sapphire cards. Ultimate Rewards convert to MileagePlus miles at a 1:1 ratio, allowing you to earn miles from two different cards. Can a couple get two cards? Yes: couples can each apply for their own individual card and each potentially qualify for the 50,000 points bonus. The miles will be deposited into your respective MileagePlus accounts. Because United Club membership allows you to bring a travel companion into the lounge, it may not make sense to each get a card unless you qualify for the first year fee waiver. In addition, United charges a fee to transfer miles from one account to another, which could add cost to an award ticket. As an alternative, consider applying for one United MileagePlus® Club Card and one Chase Sapphire Preferred® Card. Ultimate Rewards points can be transferred to your MileagePlus account or that of a authorized user, and award tickets can be booked for anyone, including your significant other. Will the miles go in my existing account? Yes: if you are already a United MileagePlus member, your points will go into your account. Be sure to use your account number on the application form. If you do not have a MileagePlus account, one will be opened for you when you are approved for the card. Will you get free checked luggage on a ticket you already purchased? No: if you already have travel booked on United, the two free checked bag benefit may not apply to your itinerary. To get the two free checked bags benefit, you must pay for your flight with the United MileagePlus® Club Card and use your MileagePlus number during booking. What travel protections come with the card? Trip Cancellation/Interruption: If you are forced to cancel a trip or return early due to illness, weather or other covered situations, this card can reimburse you for select non-refundable travel expenses up to $10,000. Trip Delay: If your carrier delays your trip by six hours or overnight, you and your family can be reimbursed for up to $500 of incidental expenses, including meals and hotel rooms. Baggage Loss: If your luggage is lost by a common carrier, you may be reimbursed for the value of your bags and their contents, up to $3,000. Baggage Delay: When your luggage is delayed over six hours at your destination, you could qualify for purchase coverage of up to $100 per day. Primary Auto Rental Collision Damage Waiver: When you use the card to pay for your rental car and refuse the car rental accident insurance, this card can offer primary coverage for accidental collision or theft damages, up to the actual cash value of the vehicle. Who benefits most from the United MileagePlus® Club Card? If you regularly fly United but do not have lounge access, or your home airport has a United Club, holding the United MileagePlus® Club Card is cheaper than paying for lounge membership. While the card only offers a half-point bonus on spending over the United℠ Explorer Card, priority treatment and early access to overhead bin space could make up for it. Additionally, this card is also good if you regularly fly with United or other Star Alliance carriers, but don’t have a high enough status to regularly access lounges. Because United Club membership is honored at participating Star Alliance partner lounges, holding this card can be key to a quiet airport space. If United is not your first choice of airlines, then it may not be in your best interest to get the United MileagePlus® Club Card. For the same $450 annual fee, the Chase Sapphire Reserve® offers a similar sign up bonus of Earn 50,000 bonus points after you spend $4,000 on purchases in the first 3 months from account opening., as well as membership in the PriorityPass lounge program. Another airline-based alternative is the Citi® / AAdvantage® Executive World Elite™ Mastercard®, which offers membership to the American Admiral’s Lounge. 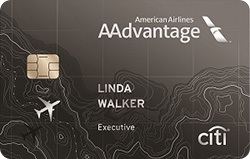 While the card comes with benefits from American and MasterCard, the Citi® / AAdvantage® Executive World Elite™ Mastercard® comes with Earn 50,000 American Airlines AAdvantage® bonus miles after spending $5,000 in purchases within the first 3 months of account opening*. Tip: Your rights when an United flight is delayed or canceled. *The information related to the United MileagePlus® Club Card, United MileagePlus® Club Business, and United℠ Explorer Card has been collected by CompareCards and has not been reviewed or provided by the issuer of this card. Will You Love or Hate Hertz Ultimate Choice?